Who or what created the body image you have today? Was it all you? It was in all probability a combination of situations and/or people in your life. If your body image today is not one that allows you to move forward, it's time for a change. If you are stuck in a negative image, realize that it's you keeping you there, and it's you who can erase it! Body image and self-image is your perception. Change your perception, and you will find confidence you never knew you had. The way you feel about yourself can knock you down so low that you believe it's what you deserve and where you belong. On the other hand, the way you feel about yourself can build self-confidence and a positive body image, which can propel you to a higher level of self-esteem. You don't have to be at your ideal weight to feel good, but you must feel good to get to your ideal weight. Changing your image also means a change of attitude. Adopt an attitude that fits your desired body image. Let your body be one you want to nurture and take good care of, and allow your eating to reflect that attitude. It's OK to be hungry. Hunger is not the enemy; over-stuffed is. Over-stuffed means you are overeating. Respect, praise and love your body at any weight, even today's weight. You'll take better care of your body when it is appreciated and not belittled. When you find yourself asking, "What should I eat? "change it to, "Why do I want to eat?" If you are hungry, eat. By asking a different question, the answer changes, leading you to a new, more productive response. You are neither a good nor bad eater. Make everything you eat a deliberate choice, and every choice you make has a consequence, desired or undesired. Be willing to accept your choice, along with its result. Drink water. Water is crucial to your good health. Often hunger is disguised as thirst, and you eat when you are actually thirsty. Stop making sparks with your knife and fork. Eat slowly while listening carefully to your breathing. When you begin to sigh or breathe heavier, your stomach is full but you don't know it yet. It's time to stop eating. Begin to master both perseverance and patience. When you effectively take the time to practice the skills needed, mindless eating will be a thing of the past. 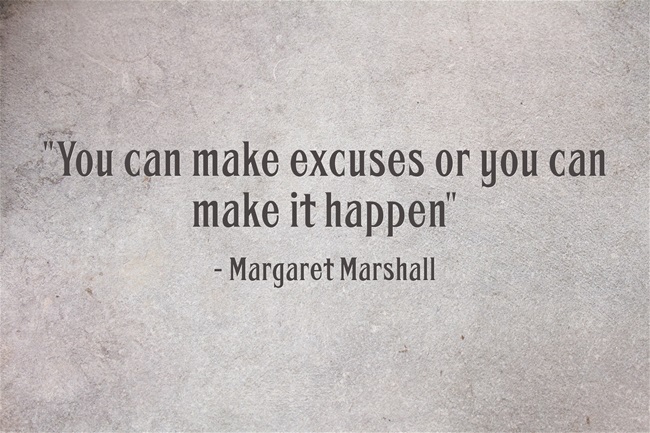 No more excuses. 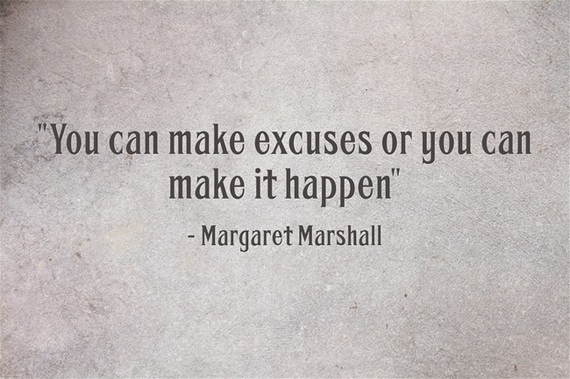 You either make excuses or you make it happen, but you can't do both. As your body image changes and you begin living a new image and losing weight, it is vital to lose the old clothes and old images that keep giving you old messages. They are no longer needed. Realize the importance of feeling magnificent throughout the entire weight-loss process. Wearing clothes that fit you well, and having an attitude that makes you feel celebrated, will encourage feelings of self-worth. Learn more about self image in Body, Mind, & Mouth...Life's Eating Connection.